The Fetch is a global media tech startup that recently relocated its HQ to NY. The Fetch focuses on solving professional event discovery – its beta is a much-loved weekly email digest. Originating out of Melbourne, Australia, the site now covers leading cities such as NYC, San Francisco, London, Berlin and Sydney with Los Angeles, Paris, Singapore and others on the waiting list. 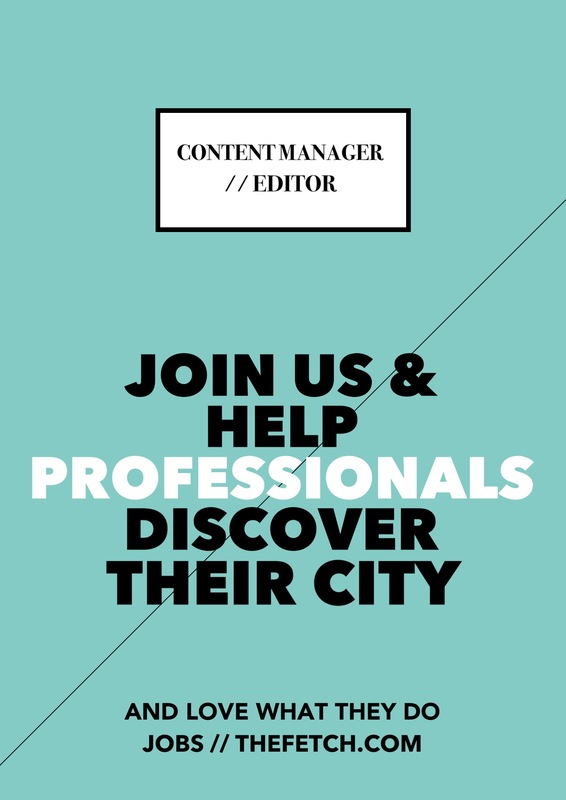 We’re looking for a New York-based editor and content manager to come work with us! This is a once-in-a-lifetime opportunity for a professional writer/editor/content strategist/blogger/curator to lead and own content at a meaningful startup. This paid position involves a three-month part-time contract (let’s ‘date’ first!) before moving full time. Links to your Twitter, Facebook, LinkedIn and blog profiles; Examples of your writing and editing, how you would seed a piece of content and three example headlines of content you would publish on The Fetch. Why you want to work at The Fetch; Current location and availability; and your brief story so far. We don’t want or need your resume. Applications will be reviewed as soon as they come in and we’re looking for an immediate start.